There are three types of people, those that believe in ghosts, magic and the unexplained mysteries of the world, those that completely write all things like that off and think it is nonsense and those that are on the fence and do not know if they believe or not yet. If you are one of those ‘on the fence’ type people then this might just make that decision for you! Here we have a video that is going viral due to just how odd it really is. In this video we can see a news reporter conducting interviews when the lady in the background shot seems to go behind someone else but completely disappear, with no trace at all. In fact one minute she is there and the next she is completely gone and no one can seem to explain it. It is clearly not edited as the interview is still continuing the whole way through and it is just one piece of footage! Some theories are that this woman was a ghost and that is why she could just vanish so quickly, other people are suggesting the Matrix has been broken and that the film was real and some are even going as far to say she was a witch! 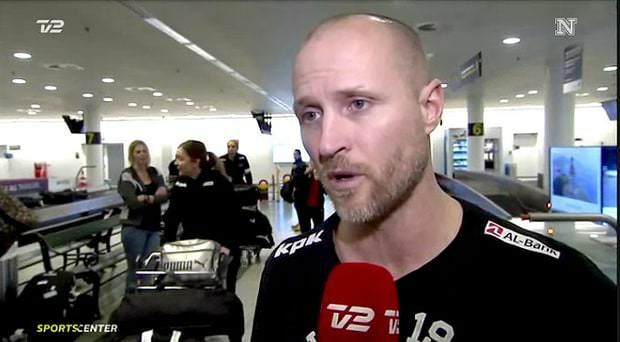 Whilst the footage was rolling on Danish tv, the man being interviewed was the head coach of the country’s woman handball team, Klavs Bruun Jorgensen, who is completely unaware of the magic happening behind him. This is quickly turning into a phenomenon where people just cannot understand how it is that this lady completely vanished. Once more, the footage was for a news broadcast so it is unlikely that they would play such an odd prank when doing a serious interview. So what do you think happened? Could we have witnessed something from a magical world where people around us might in fact have powers and can disappear or was it just an odd camera angle or maybe an cheeky intern doing a bit of Photoshop! The woman has no yet been identified so no one can ask her as she is still disappeared! If you've already heard these 13 Labyrinth facts, you are one dedicated fan! Super Fun Photos of Kids Captured by Their Parents – #6 is Mesmerizing! If you think photography is just about posing and capturing, check out these awesome creative kids photos!